Cherish nature, to act in defense of animals, forests and rivers, and to promote vegetarianism in recent years has been beneficial to many. And not so much to nature itself, but for those who are energetically promoting at its expense. 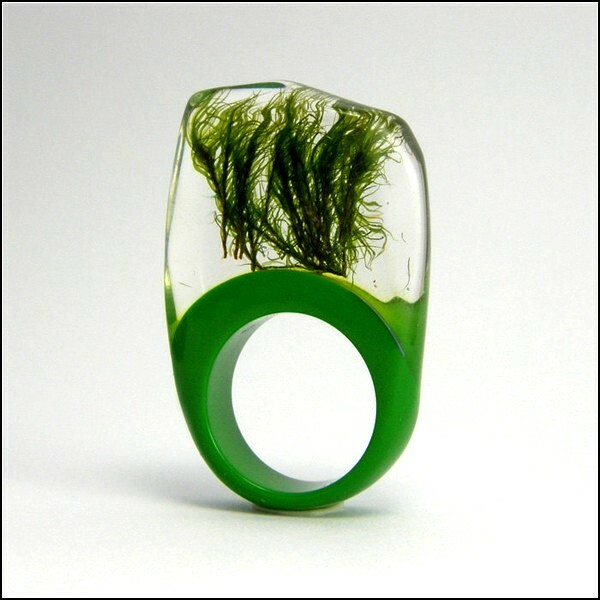 And against the backdrop of the environmental boom is very unusual work of Polish artists from the studio Sylwia Calus Design . Thus, the talented Poles released a series of interesting "live" decorations, including rings, in which the "locked" nature of the particles. Like flies in amber. 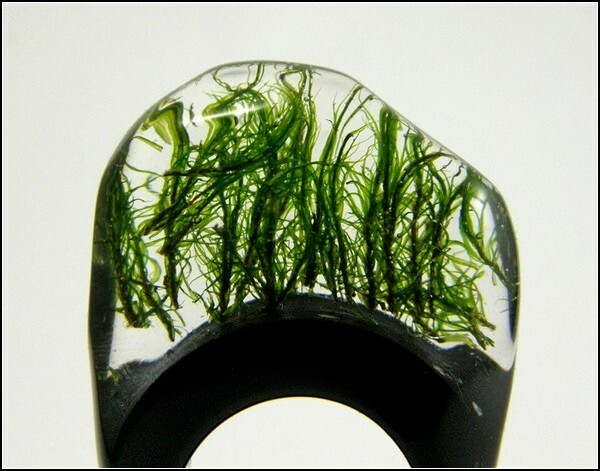 Transparent rings really like amber, only they are made of a transparent synthetic resin with a real live "stuffed." 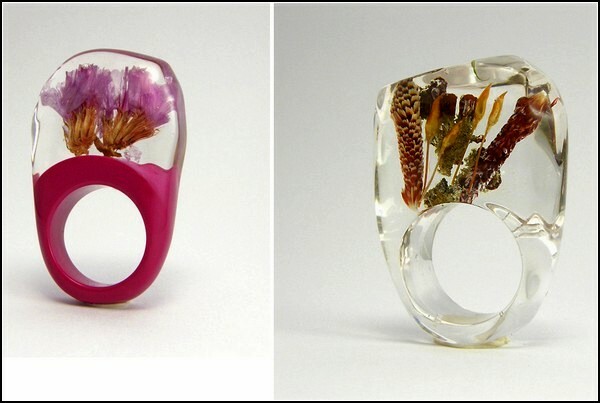 Instead of jewels designers use less expensive, yet valuable resources: herbs and flowers, moss, shells, pebbles. All that can be taken from nature, not harm her. 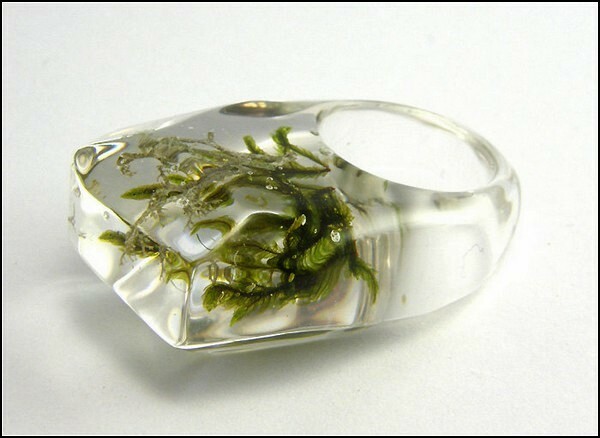 The collection of unusual "live" decorations include the forest ring, field and sea, depending on what is hidden under a layer of transparent resin. Author jewelry - a Polish immigrant Sylvia Kalush (Sylwia Calus), a professional designer, specializes in creating jewelry. 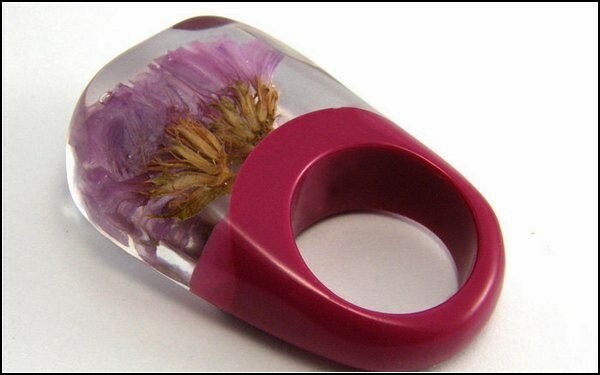 And let them not covered with sequins and not cast in precious metals, but every such ring - an exclusive and unique as keeps a piece of native wildlife. Travelers who are prone to nostalgia for his native land, it should like. These and other decorations from Sylwia Calus Design can be seen on page of Sylvia Kalush in Etsy.